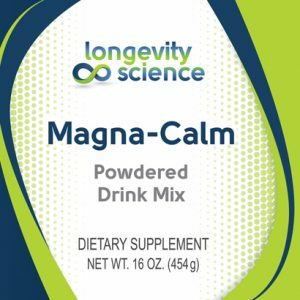 Unique Prostate Formula with Necessary Ingredients to Keep your Prostate Healthy! 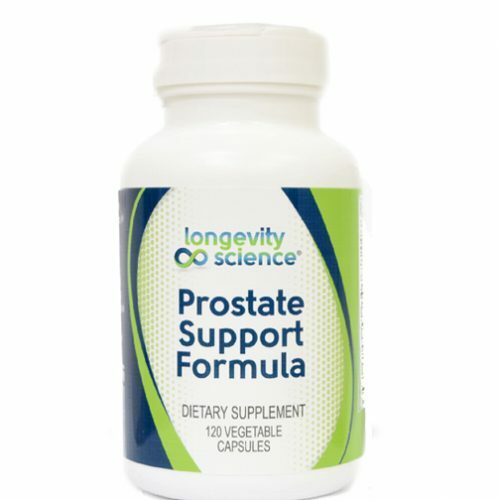 Longevity Science Prostate Support Formula contains saw palmetto extract, cited in scientific studies as being beneficial for prostate support health. Saw palmetto extracts have been shown to inhibit 5-alpha reductase, the enzyme which converts testosterone to dihydrotestosterone (DHT). With DHT is a factor in prostate cell proliferation. A good preventative for all, whether with prostate cancer or just keeping one’s prostate healthy! The form of saw palmetto used in prostate formulas is all-important. 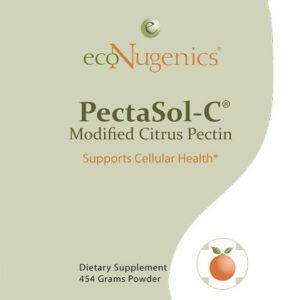 Many products offer the raw form of saw palmetto, or perhaps standardized extracts, which contain relatively little in the way of free fatty acids, the important active phytochemicals of the plant. 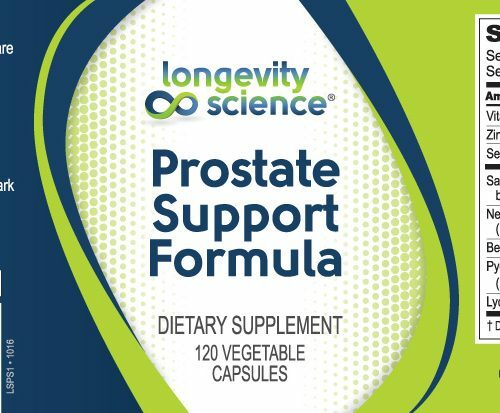 Longevity Science Healthy Prostate Formula contains saw palmetto standardized to a minimum of 45% fatty acids. 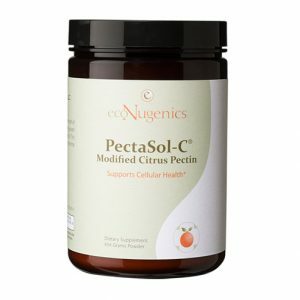 This Unique Formula also contains, zinc, nettle root, selenium, D3, pygeum, and lycopene. 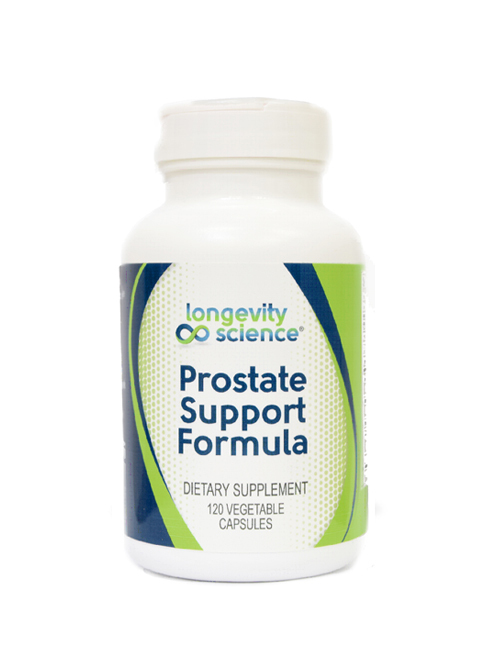 Longevity Science Prostate Support Formula contains NO wheat, gluten, soy, milk, artificial colors or preservatives. 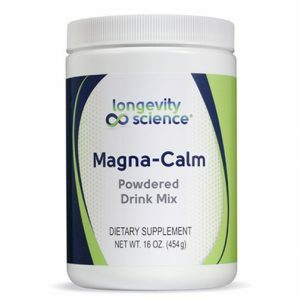 Suggested use: Take 4 capsules per day, with meals, or as directed by your healthcare practitioner. *This statement has not been evaluated by the Food & Drug Administration. 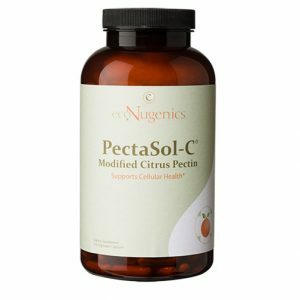 This product is not intended to treat, diagnose, cure, or prevent any disease.